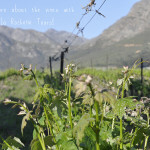 La Rochelle Tours offers specialised Wine and Gourmet Tours within the Cape Winelands of South Africa. 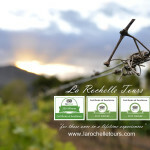 The La Rochelle Tours team are based in the Cape Winelands with qualified tour guides within the Franschhoek, Paarl and Stellenbosch areas. 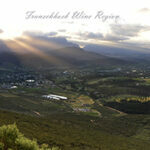 We will also gladly collect guests in the Cape Town area for wine and gourmet tours if we have vehicles available. The small, family-run team from La Rochelle Tours are well known for going the extra mile and this is evident in their TripAdvisor Reviews – they are ranked number 1 in Franschhoek. 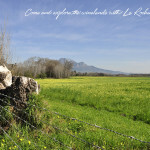 La Rochelle Wine and Gourmet Tours was founded in the year 2000 and our staff have many years of experience within the South African wine tourism and travel industry. We operate our own fleet of vehicles and our tour guides are fully trained, registered and qualified and hold valid PDP’s – Public Driver’s Permits. All La Rochelle Tours vehicles carry legal permits (must have the RED disc displayed on the front window), operating licenses and are clean, tidy and undamaged. We currently have a brand new fleet of vehicles and we do trade in our vehicles for new ones every 4 years. Our specialised wine and gourmet tourism tour guides are all educated by the Cape Wine Academy and we will soon undertake our WSET wine courses. All guided wine tours and transfers are done in a professional manner and we exceed expectations on a daily basis. 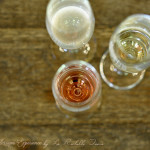 We offer the following range of wine and gourmet tours – visit our website to Enquire. All our vehicles are permitted to operate throughout South Africa. We really look forward to host you in the near future.